At one time employment opportunities in a foreign country were extremely limited, especially if you weren’t fluent in the language of that particular country. 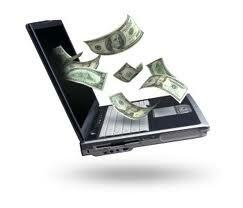 Today however, the Internet has completely opened up the earning potential of expatriates around the world. It is now possible for people to earn a living online, all you need is a computer, access to the Internet and the courage to put yourself out there. For those considering owning real estate or rental property in Costa Rica or Americans wanting to Expatriate, earning a living is often an important part of the decision before moving to a foreign country.